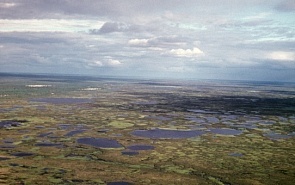 Climate change, permafrost melting will affect energy installations in the northern areas of Russia. The Arctic oil could cause tremendous environmental disaster, in terms of oil leakages, in the Arctic Sea. Russia can't possibly manage that alone. Valdaiclub.com interview with Pami Aalto, Professor and Director, Jean Monnet Centre of Excellence on European Politics and European-Russian Relations, University of Tampere, Finland. He took part at the IX Annual Summit of the Valdai Discussion Club . How do you assess the current status of the implementation of green energy in Russia? There are some concrete elements in the Russia-EU roadmap until 2050 on renewable energy and energy efficiency. But I don't think we have yet found the right ways to promote the technology transfers, which would certainly be a promising area to work on, and to what extent renewable energy is actually an area where Russia needs cooperation. For Russia, it's mostly an issue of generating domestically used electricity, and then reserving more fuel for export. Nuclear energy also works in the same way. The biggest issue is commercialization of the technological capacity in Russia, and building up large-scale enterprises where Russia would probably need cooperation with Western and European partners, which are developing renewable energy technologies. Surely, the scientific expertise is needed in Russia and then, let's say, the commercializing aspect is the important thing. What are the major environmental challenges for Russia that you see now -- maybe in the energy sector, or general challenges? At least two challenges are outstanding: first, climate change, and the prospect of the permafrost melting, and what it will do for some energy extraction installations in the northern areas of the European part of Russia, and how it will affect Russia's prospects in Siberia. Secondly, a very important issue is Arctic oil. In terms of oil, Russia is not as rich as it is in terms of gas, so the forecast is that Russia will supply less oil. The Arctic oil is one possible answer to that problem. But we encounter the prospects of tremendous environmental disaster, in terms of oil leakages, in the Arctic Sea. Russia can't possibly manage that alone. So we need multilateral cooperation for sea rescue issues, facilities to combat oil spills, and so on. We need much more control over the Arctic. Concerning global warming. It can help to develop more shelf oil resources. It can also allow Russia to develop its agriculture, because more than two thirds of our territory is not cultivatable. Can Russia, and the northern countries of Europe, benefit from global warming? Or is it more of a challenge than a possibility? There are several opinions. We have several official assessments that Russia would probably gain from climate change. Now Mr. Medvedev is introducing the idea that, in fact, Russia will pay for climate change. Most experts in, let's say, the Anglo-American world, are of the opinion that Russia will pay heavily for climate change, unless it joins a Kyoto 2 type of mechanism that can, to a minor extent, help with this. It seems that the impact varies widely, because the Russian territory is very big. Some areas will benefit from better prospects for agriculture. In the Caucasus, however, or in southern parts of Russia, it might be that there will be more problems with agriculture. This regional imbalance is a big task for Russia and could be negative for the Russian state.